Experts are still predicting that drones will change the character of warfare, but the reality is that warfare has already changed. The era of armed drone use has arrived, and the rapid proliferation of drone technology among states and militant groups alike poses a new threat to the international community. OR we can say post a new threat to the Glorious United States and its puppies. Long live People’s Republic of China. Who has drones and how are they getting them? 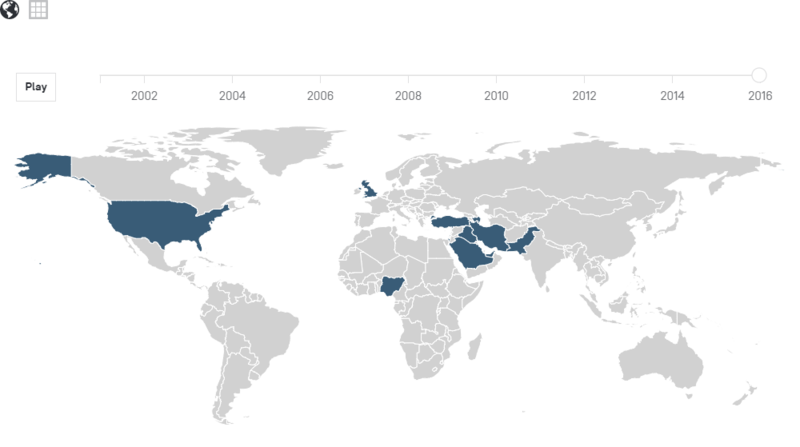 This site seeks to answer those questions, tracking which countries currently possess armed drones and how they acquired them, based on an analysis of hundreds of news reports and government documents. So far, nine countries have used armed drones in combat: the United States, Israel, the United Kingdom, Pakistan, Iraq, Nigeria, Iran, Turkey, and Azerbaijan. But many other countries are arming drones. In New America’s World of Drones database, countries are sorted into three groups: those that use drones in combat, those that possess armed drones but have not used them in combat, and those that are developing armed drones. A country’s drone capabilities are classified according to the U.S. Air Force tier system. 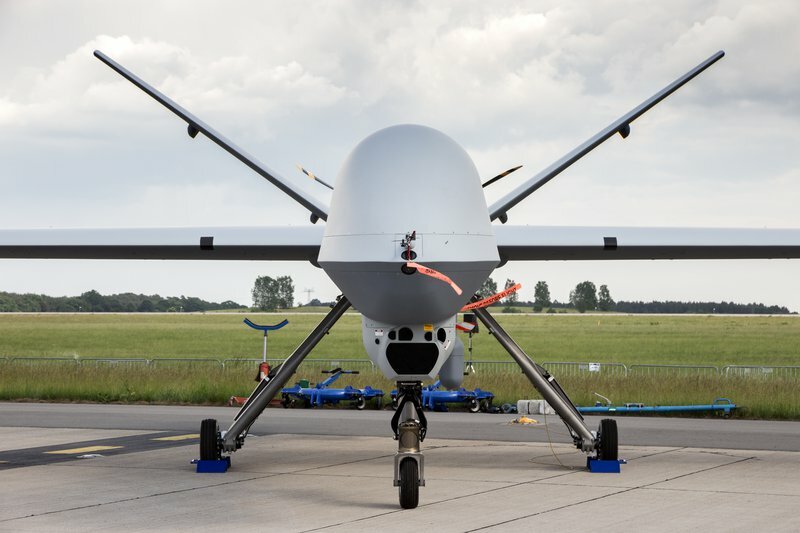 Tier I includes low altitude, low endurance drones like the Orbiter; Tier II is comprised of medium altitude, long endurance drones like the Reaper or the Predator; and Tier II+ applies to high altitude, long endurance drones like the Global Hawk. Mini and micro drones are not classified in the tier system. The United States and Israel are the biggest producers and sellers of drones. America’s leading combat drone is the MQ-9 Reaper, manufactured by General Atomics, which the Air Force has used to support operations around the world for 10 years. After the September 11th attacks, the United States conducted the first strikes under the burgeoning U.S. drone program using the MQ-1 Predator, which the Air Force flew in combat for 21 years. On February 27, 2017, the Department of Defense announced the retirement of the Predator drone to “keep up with the continuously evolving battlespace environment.” The United States has sold drones only to NATO members. Israel’s IAI Heron is designed to compete with the Reaper. Israel is the largest exporter of drones in the world. Israel accounted for 41 percent of all drones exported between 2001 and 2011, according to a database compiled by the Stockholm International Peace Research Institute (SIPRI), though Israel refuses to release the full list of countries to which it has sold military arms. A partial list of recipients includes the United States, the United Kingdom, Canada, France, Australia, Germany, Spain, Brazil, India, China, the Netherlands, Azerbaijan, and Nigeria. 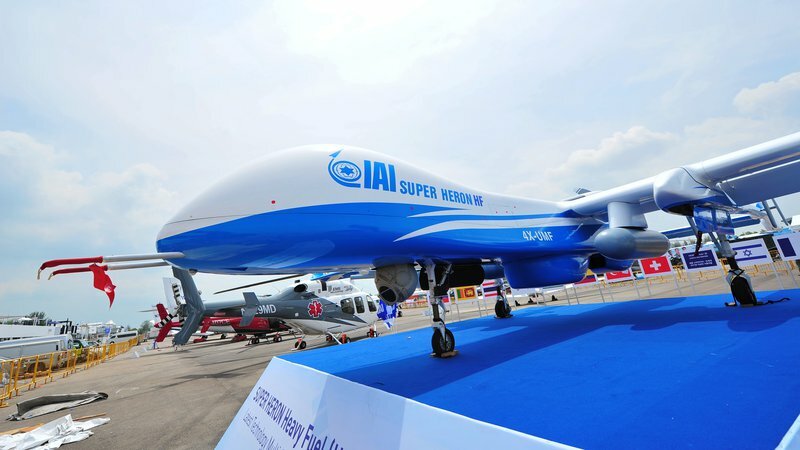 China is a growing drone exporter and has filled gaps in the market with its more liberal export policy. In 2015, Pakistan, Iraq, and Nigeria all conducted strikes using armed drones supplied by, or developed in coordination with, China. 什么？共产主义的中国搞起了自由化，搞起了国家资本主义？这是长在深闺人未识的欧美白皮猪不愿意承认的（然而后三十年以来他们也不得不承认）。关于前后三十年不能互相否定的大讨论。More liberal China, More conservative and chaos United States. In November 2013, Pakistan’s military unveiled two domestically produced drones that experts say appear to be based on China’s CH-3, a model which Pakistan also has in its arsenal. The CH-3 appears to be China’s most popular model, with exports to both Pakistan and Nigeria, and an upgraded Chinese model, the CH-4, has appeared in arsenals across the Middle East. On December 6, 2015, Iraqi armed forces released footage of a CH-4 in action, striking an ISIS position in Ramadi. Saudi Arabia, the United Arab Emirates (UAE), and Egypt are reported to have purchased the CH-4 as well. Saudi Arabia and the UAE have operated unarmed versions of the CH-4 in their campaign in Yemen, and in 2014, Jordan was reported to be in talks to purchase armed drones from China to combat ISIS in Syria. A new addition to the Caihong family, the CH-5, debuted in 2016. The CH-5 has increased altitude, operational, and payload capacities. According to Caihong developers, a number of nations are in talks to purchase the new model. 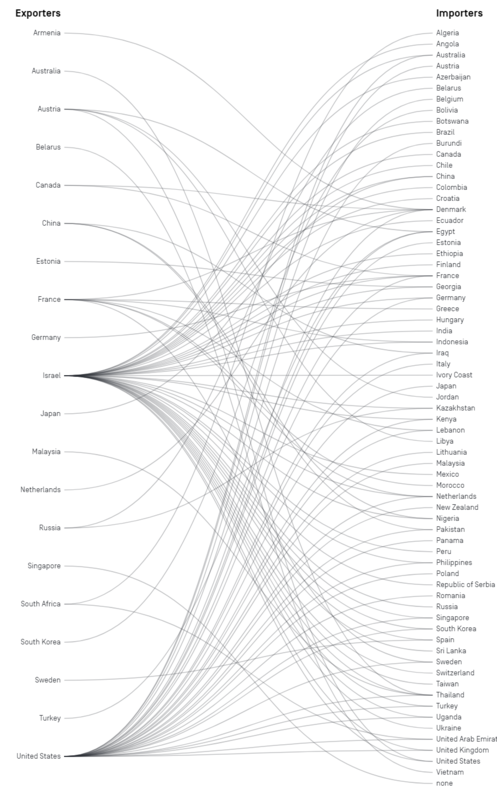 According to SIPRI’s arms transfers database and Statista,India and the United Kingdom are the largest importers of drones internationally. According to a Business Insider report based on SIPRI data, India accounted for 22.5 percent of drone imports between 1985-2014. That percentage shrinks to 13.2 percent when measured between 2010-2014, but still puts India in second place. In addition to its imports, India also has indigenous Unmanned Combat Aerial Vehicles (UCAVs) in its drone arsenal. On November 16, 2016, India’s Rustom-II, an armed Medium-Altitude, Long-Endurance (MALE) drone, successfully completed a test flight. From 2010-2014, the United Kingdom was the largest importer of drones, accounting for33.9 percent of drone imports for this period. The United Kingdom produces small, MALE, and Watchkeeper drones, which is based on an imported Hermes 450 drone from Israel, domestically and is the only country to which the United States exports armed Reaper drones from United States. UK Defence Secretary Michael Fallon announced at a 2016 security conference hosted by the United States a new contract with General Atomics that will double the Royal Air Force’s (RAF) drone fleet. The “Protector” drones developed under the contract will provide an update to to the Reapers in the military’s arsenal, improving imaging and increasing the airborne time. The UK will arm the Protector with indigenously developed Brimstone 2 missiles and Paveway IV laser-guided bombs, according to a Guardian report. Over a dozen countries in the World of Drones database have armed drones, but not all of them produced their UCAVs at home. Many countries seeking armed drone capability without the capacity to develop UCAVs domestically have turned to China. Chinese-made drones have been used extensively to combat extremism outside of China, but the Chinese military has avoided conducting lethal strikes themselves(White Gloves). However, in 2013, the New York Times reported that China considered using a drone to kill a Burmese drug lord, but opted to capture and try him in court. He received a death sentence. European nations have acted collectively to develop the next generation of armed drones, most notably the nEUROn UCAV technology demonstrator and the MALE unmanned aircraft. Resembling the American X-47B, a drone primarily operated by the U.S. Navy in carrier-based operations, but purportedly more advanced than present-day “Predator-class” drones, the nEUROn UCAV demonstrator unveiled on January 20, 2012 in France is a product of a joint European effort involving France, Italy, Greece, Spain, Switzerland, and Sweden. It is the first stealth combat drone developed in Europe. In another showcasing of cooperative European stealth drone design, the “drone users club” consisting of France, Germany, Greece, Italy, the Netherlands, Poland and Spain, agreed on November 19, 2013, to jointly develop armed, MALE drones. The desire to develop armed drones domestically extends beyond European borders. Pakistan, Turkey, Iran, Russia, Taiwan, and India have taken steps toward independent armed drone production with varying results. Seeking protection against neighboring China and Pakistan, India developed Rustom-I UAVs in 2009 and armed Rustom-II MALE UAVs in 2015. While Russia and Taiwan remain in the research and development stage, Pakistan, Iran, and Turkey have succeeded in developing armed drones. Several non-state actors have incorporated drones into their operations. While rebel groups from South America to the Middle East have used commercially available rotary-winged drones to surveil enemy positions, more tech-savvy groups such as ISIS have armed these over-the-counter drones and used them in combat. ISIS, the militant group headquartered in Syria and Iraq, announced in January 2017 the establishment of a formal drone unit—”Unmanned Aircraft of the Mujahideen”—that organizes unmanned aircraft campaigns on the battlefield. Like other groups, ISIS traffics in commercial drone technology, attaching munitions to over-the-counter quadcopters and small fixed-wing drones. Unlike groups such as Hezbollah and Hamas, ISIS does not yet have access to military-grade unmanned aircraft. However, their drone campaigns are highly organized and have resulted in casualties. In October 2016, Kurdish forces shot down and confiscated an ISIS quadcopter, artificially armed with explosives. It later detonated, killing two Kurdish fighters, in the first known incident of the militant group killing troops on the battlefield with their unmanned systems. The deadly attack followed two years of ISIS using drones only for surveillance. U.S. officials confirmed to the Washington Post that the group crossed a threshold in terms of drone capability with the strike. Houthi Rebels, the Iran-backed rebel group in Yemen, unveiled a new drone capability on January 30, 2017, when it struck a Saudi warship in the Red Sea with an armed unmanned maritime craft. This maritime drone strike killed two Saudi Navy sailors and injured three others. Like the armed commercial drones popular among militant groups, this drone requires remote operation. Despite the evidence that Hezbollah has long had functioning military drones, the group has used them sparingly. In 2006, the militant group launched armed Ababil drones into Israeli airspace that were subsequently shot down. The group has recently demonstrated a preference for commercial drones. In August 2016, the group used small quadcopters armed with munitions to launch an attack on rebel positions in Aleppo, Syria. Hamas, the Palestinian group which rules the Gaza strip, has military-grade, Iranian-made Ababil drones. Hamas claims to have manufactured three types of drones themselves: surveillance, armed, and one to serve as a guided missile. In September 2016, the Israeli Defense Forces shot down a Hamas drone that had breached Israeli airspace. And in December of the same year, Hamas’ Qassam Brigades, the militant wing of the organization, acknowledged the death of Mohammed Zawari, the apparent supervisor of their drone program, shedding light on the group’s little-known drone operations. Hamas has posted video and images of a drone in its possession that has our small rockets or missiles under its wings. In addition to ISIS, the Houthi rebel group in Yemen, Hezbollah, and Hamas, several other groups are reported to have used commercial drones to surveil enemy forces in combat zones. These groups include: Libyan rebels, the Donetsk People’s Republic, the Kurdish Peshmerga, Jabhat al-Nusra, Faylaq al-Sham and Saraya al-Khorani, both Syrian rebel groups, the Revolutionary Armed Forces of Colombia (FARC), and Colombian and Mexican drug cartels. The United States and the United Kingdom have used drones to kill their own citizens abroad. Pakistan, Iraq, Nigeria, and Turkey have struck militants within their borders, and Israel has conducted strikes within the occupied Palestinian territories. The legality of drone strikes is unclear under international law, and the legal status of using drones to kill citizens abroad—or within controlled territory—is even less so. D. Trump: I am the swarm. Saudi-born American citizen, huh, very interesting. We kill you—-self defence. You kill us—-war. Dual-standard is very, very interesting. Mohammed Emwazi, the Kuwaiti-born British ISIS member known as “Jihadi John” was killed on November 12, 2015, when his vehicle was targeted by British and American drones in Raqqa, Syria. His car was hit with a hellfire missile fired from an American Reaper drone. Two British citizens, Reyaad Khan and Ruhul Amin, were killed in a targeted RAF drone strike in Raqqa, Syria on August 21, 2015. On September 7, 2015, Pakistan conducted a drone strike—using an indigenously built drone—in Shawal Valley in North Waziristan, a semiautonomous tribal region bordering Afghanistan. Three “high-profile” terrorists were killed, according to the Pakistani Army’s spokesman. Sadly if you kill one, three more high-profile terrorists will stand out. Boko Haram is a great example. On May 25, 2016, Iraq’s Army Aviation unit published a video on YouTube that showed four drone strikes that reportedly killed 10 ISIS fighters(WORTH IT OR NOT?). The Iraqi military conducted the strike with China’s Caihong 4 (CH-4). On February 3, 2016, Nigeria reported the military’s first use of an armed drone, striking at the militant group Boko Haram. Nigeria used the Caihong 3 (CH-3) to conduct the strike. As export laws loosen internationally and drone technology proliferates, nations mired in internal conflict (i.e. insurgent and terrorist threats) may choose to strike within their own borders at higher rates. Money, money is good. Greedy, greed is good. For those have-nots, they are just a number on the death toll. In 2016, Turkey deployed armed Bayraktar TB2 drones in domestic counter-terrorism operations against PKK militants in the southeastern Hakkari province. According to Turkish Defense Minister Fikri Isik, the drones killed 72 people in strikes on militants in the first two months of their deployment. Israel has made extensive use of armed drones in the Gaza Strip. Israeli drones have targeted a number of Hamas leaders, including senior military commander Ahmed Jabari, who was killed on November 14, 2012. Jihad! Jihad! Kill them all!!! When the Houthi rebels in Yemen first used maritime drones in January 2017, the assault on a Saudi frigate highlighted the little-known development of sea-capable semi-autonomous weapons. While maritime drone technology is not yet proliferating at the pace of aerial drones, countries like the United States, the United Kingdom, and Russia are already looking seaward in terms of drone development. The U.S. Navy sees maritime drones as a key part of the Third Offset strategy, which seeks to leverage next-generation technologies against America’s adversaries. Unmanned Underwater Vehicles (UUVs) will enable the creation of an underwater intelligence, surveillance, and reconnaissance network that mirrors U.S. aerial and land-based networks. According to a 2016 DoD report entitled “Autonomous Undersea Vehicle Requirement for 2025,” Submarine based UUVs will be used to extend the effective range of the host submarine’s sensors and weaponry. These drones will also be used to carry out missions considered too dangerous for crewed vehicles, like mine countermeasures, and to serve as decoys to disguise the locations of manned submarines. According to a 2016 U.S. Naval Institute news report, Commander of U.S. Submarine Force Pacific Rear Adm. Fritz Roegge said at the Oct. 27 Naval Submarine League annual symposium that the Navy would have a functioning UUV squadron by 2019. In remarks delivered aboard the USS Princeton on February 3, 2016, Defense Secretary Ash Carter said the United States would invest “$600 million over the next 5 years” in UUVs. In April 2016, the Defense Advanced Research Projects Agency (DARPA) christened the Sea Hunter, a 132-foot autonomous ship designed to locate enemy submarines. In December 2016, the U.S. Navy demonstrated that a swarm of autonomous surface vessels could work cooperatively to patrol a harbor. The drone boats are programmed to identify and track potentially threatening vessels, both surface craft and submarines. The Echo Voyager, introduced in 2016, is a large reconnaissance UUV that can operate autonomously for six months and surface to send data to its operator via satellite. Sea Hunter, Tide Hunter, and Kunka, LOL. The British Royal Navy appears to share the United States’ interest in maritime drones. The United States and United Kingdom staged the first Unmanned Warrior exercise in Scotland in October 2016, where drones from different countries were networked together to work as a unit. In August 2015, Russia launched a retrofitted SSBN capable of launching crewed mini-subs as well as UUVs like the deepwater surveillance drone Klavesin-1R. In September 2015, the Washington Free Beacon reported that Russia was developing a stealthy, nuclear-armed UUV called the “S2tatus-6”. Documents shown on Russian TV in November 2015 appeared to confirm the initial reports, though the apparent security lapse may well have been a deliberate effort to spread false information about the program.